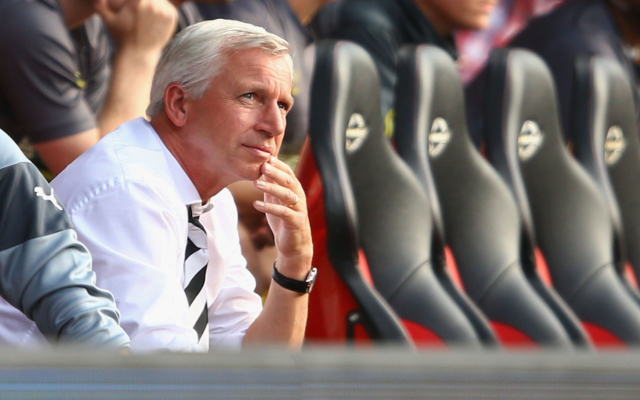 The reason reason the Magpies owner hasn’t axed St James’ Park boss? Newcastle United owner Mike Ashley have opted to hold off on axing Alan Pardew following the club’s defeat away at Stoke City though the reasons for doing so may not be entirely related to the manager’s performance in charge of the St James’ Park side. The Daily Mail claims that any move to axe the 53 year old boss would cost the billionaire owner £5m, which may be the real reason Pardew hasn’t been axed. Ashley, perhaps mistakenly, handed Pardew a new eight year contract in September 2012, this coming after he had guided the north-east side to a fifth place finish. That contract included a £5m clause which Ashley would have to cover were he to sack the former West Ham and Southampton manager. Newcastle United sit second from bottom having failed to secure a single win from their opening six fixtures.